Victor Hugo once said: “If a writer wrote merely for his time, I would have to break my pen and throw it away.” Great novels are not dated in any essential sense as they capture the timeless human condition and longevity is the ultimate test for them. A vexing question for writers is as to why they write and what they seek to achieve via writing. In this post I’ll take some authors and present their views on the writing process and elaborate on how they look at what they do. When he gave the interview it was about nine-and-a-half years since he had published his last novella ‘Hapworth 16, 1924’ in The New Yorker magazine in June 1965. The interview in 1974 was also his first since 1953, when he gave one to a 16-year-old girl of a high school newspaper in Cornish. Salinger, who died aged 91 in January this year, blasted his way to literary fame and cult-like devotion with the 1951 publication of The Catcher in the Rye. “If you really want to hear about it, the first thing you’ll probably want to know is where I was born, and what my lousy childhood was like, and how my parents were occupied and all before they had me, and all that David Copperfield kind of crap, but I don’t feel like going into it, if you want to know the truth.” That’s how the frenetic three-day account around Christmas of Holden Caulfield began in the modern epic that is the benchmark against which all coming-of-age novels are measured. 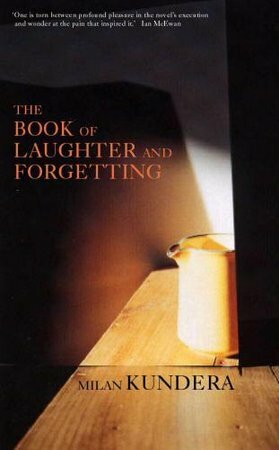 In The Book of Laughter and Forgetting the Franco-Czech novelist Milan Kundera discusses graphomania (a mania for writing books). The author recounts his encounter with a garrulous taxi-driver in Paris. The driver has chronic insomnia (Has had it since the war when he was a sailor and his ship sank. He swam three days and three nights before being rescued). In his extra time he writes and is working on a book about his experiences. That conversation with the taxi driver suddenly made clear to me the essence of the writer’s occupation. We write books because our children aren’t interested in us. We address ourselves to an anonymous world because our wives plug their ears when we speak to them. In the afterword of Zen and the Art of Motorcycle Maintenance, a novel that unfolds on a summer motorcycle trip undertaken by a father and his son and becomes ‘a personal and philosophical odyssey into fundamental questions on how to live’ author Robert M. Pirsig says: “Certainly no one could have predicted what has happened. Back then, after 121 others had turned this book down, one lone editor offered a standard $3,000 advance. He said the book forced him to decide what he was in publishing for, and added that although this was almost certainly the last payment, I shouldn’t be discouraged. Money wasn’t the point with a book like this. That was true. But then came publication day, astonishing reviews, best-seller status, magazine interviews, radio and TV interviews, movie offers, foreign publications, endless offers to speak, and fan mail… week after week, month after month. The letters have been full of questions: Why? How did this happen? What is missing here? What was your motive? There’s a sort of frustrated tone. They know there’s more to this book than meets the eye. They want to hear all. The last author that I want to consider in order to approach the writing process is the 2006 Nobel Prize winner Orhan Pamuk. 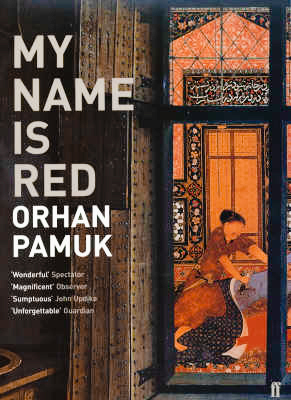 I discovered Pamuk late and was blown away by My Name is Red. The novel is set in Istanbul in the late 1590s. The Ottoman Sultan commissions a great book: a celebration of his life and his empire, to be illuminated by the best miniaturists of the day. The novel opens with the murder of one of the artists and the mystery behind it sustains the pace and some of the tension in the plot. However, the murder is the backdrop from where the author enters into a meditation on art, love, artistic devotion and the conflict between East and West. My Name is Red is a first person narrative; the titles of the chapters tell you who is doing the talking. It works brilliantly as you get to see how the same event is perceived by different people. The novel surgically opens and reveals the entire panorama of human relationship and motive. For instance you get to see the novel’s love story from the perspective of Black as well as Shekure (the man and the woman). Pamuk himself has given less weight to the murder mystery and the East-West question and has called the arduous work of the miniaturist, the artist’s suffering, and his dedication to his work as the central issues of My Name is Red. The stories within the narrative of the old masters of Herat and of the great Bihzad are fascinating. Even towards the end Pamuk makes the reader marvel when Master Osman gets completely lost in admiring the illuminated pages of yesteryears and when the other miniaturists lose themselves while remembering the long days of their apprenticeship in the Sultan’s workshop. Pamuk has the gift of offering the reader any number of diversions to savour even when the tension of the plot is approaching boiling point. ‘Sirin falling in love with Husrev by looking at his picture is the best-known and most frequently illustrated story in Islamic literature’ and Pamuk uses it as a model for many scenes, gatherings, and stances in the novel. In a similar manner Pamuk sketches the character of Shekure so brilliantly that it becomes possible to fall in love with her just by reading. Pamuk captures the essence of a writer’s occupation in his book Other Colours: “In order to be happy I must have my daily dose of literature. In this I am no different from the patient who must take a spoon of medicine each day. …To read a dense, deep passage in a novel, to enter into that world and believe it to be true—nothing makes me happier, nothing more surely binds me to life. …If my daily dose of literature is something I myself am writing, it’s all very different. Because for those who share my affliction, the best cure of all, and the greatest source of happiness, is to write a good half page every day. For thirty years I’ve spent an average of 10 hours a day alone in a room, sitting at my desk. If you count only the work that is good enough to be published, my daily average is a good deal less than half a page. The paragraph above is the beginning of J.D. Salinger’s novella ‘A Perfect Day For Bananafish,’ published in the 31st January 1948 edition of The New Yorker. It is the first story about the fictional Glass family created by Salinger. The lady mentioned above is Muriel; the wife of Seymour Glass, the eldest in a family of seven brothers and sisters, who in 1948 is 31-years-old and on a vacation in Florida. Seymour meets a six-year-old girl Sybil Carpenter at a beach and there is a conversation that follows. Seymour tells little Sybil a story about ‘bananafish’ and how it is a perfect day to spot them. They wade in the water for a while and then the man returns to the hotel. Below is the last paragraph of the story. On January 1, 2009 Salinger turned 90 and he still remains the celebrity because of his absence from public space. The year 1955 was a very productive one for Salinger. In the beginning of the year he released Franny and by the end of the year gave a novella through which many of his past efforts would converge; Raise High the Roof Beam, Carpenters. It was also the first year of his marriage with Claire Alison Douglas on February 17, 1955. The wedding took place twenty miles west of Cornish, in Barnard, Vermont, and it was attended by only the closest of family and friends. Salinger had spent years drawing characters into the Glass family but it was only in 1955, with the publication of Raise High the Roof Beam, Carpenters that the members of Salinger’s ‘settlers’ assembled as a unit. The New Yorker’s editor William Shawn worked the year round with Salinger on this seminal work about the Glass family. In book form it was published with another story called Seymour An Introduction. I am using an extract from Seymour An Introduction for the one brilliant poetic illustration in it: “It would be absurd to say that most young people’s attraction to poetry is far exceeded by their attraction to those few or many details of a poet’s life that may be defined here, loosely, operationally, as lurid. It’s the sort of absurd notion, though, that I wouldn’t mind taking out for a good academic run someday. I surely think, at any rate, that if I were to ask the sixty odd girls (or, that is, the sixty-odd girls) in my two Writing for Publication courses—most of them seniors, all of them English majors—to quote a line, any line from ‘Ozymandias,’ or even just to tell me roughly what the poem is about, it is doubtful whether ten of them could do either, but I’d bet my unrisen tulips that some fifty of them could tell me that Shelley was all for free love, and had one wife who wrote ‘Frankenstein’ and another who drowned herself. There are many interpretations of the haiku and one way of looking at it is that man can reach the summit by having the endurance to overcome adversity. Forgive me for digressing but this is the closest that I can come to describing the mastery of the man who is popularly known as the Little Master around the cricketing world. An old Japanese proverb says that a wise man climbs Mount Fuji once in his life and only a fool climbs it again; the implied meaning for the fool here is that it is so tough and has such inclement weather that only the really-daring would go again. If Mount Fuji had a cricketing equivalent then Tendulkar is the man who has been living at the summit for just a few days less than 20 years now. There is no typhoon greater than the one he can still generate and there is no one from his time who has survived the hostile weather of international cricket with such elegance that even the violence that flows from his blade looks like the serene poise of a Zen monk. The man on top of everything heeded the captain’s call and apart from another one at number six, no one else found it easy to rotate around him. Australia had belted 350, riding on the momentum they had picked when India had dropped it in the second-half of the ODI in Mohali. For Australia just the top order came out to bat and everyone scored above a run a ball. Shaun Marsh and Watson scored 112 and 97 respectively. Ponting made a run-a-ball 45 and White and Hussey gave the finishing kick. No matter what the conditions and the trueness of the wicket, chasing 350 is the cricketing equivalent of climbing Mount Fuji; and it was too stiff a climb for one man to pull the weight of 9 others. Apart from Tendulkar—who made a sparkling 175 in 141 balls studded with 19 square jewels and four large-sized pearls—the other significant contribution in the chase came in the form of a 59 from Raina at number 6. The 38 from Sehwag and the 23 from Jadeja had the possibility of becoming significant but Sehwag played one shot too many and Jadeja for the second time in the series ran as if his run out was essential to India’s victory. If I look at the top 5 then it was just one man who made it possible that the game came down to holding one’s nerve in the end. At the stage where 19 runs were needed in 18 balls with four wickets in hand and a set Tendulkar batting as good as he ever had; the match was India’s to lose. Tendulkar single-handedly kept India in the hunt; he played the booming drives, the lofted on the rise strokes clearing the inner circle, the delicate and the furious square cuts. He used the pace of the bowlers, when his deft touch was needed to place the ball behind the wicket on either side. Tendulkar danced down the wicket to hit the spinners out of the attack. He played perfect chip shots and the pulls that went along the ground. The Master bisected the boundary raiders using his wrists as if they were meant to solve a geometric problem. He dusted his cupboard to bring out a pull shot that sailed for a six over midwicket. He played with a fearless flamboyance so that the newcomers could adjust to the wicket without worrying about the run-rate. Earlier, as Australia had preserved wickets, their late charge added 90 runs in 48 balls for the team. The way the Little Master had calculated and scored from the beginning and then in a big partnership with Raina; his team needed just 52 runs in the last 48 balls. The Aussie bowling had been thrashed, mainly by Tendulkar and to an extent by Sehwag and Raina. Two overs changed the game after Tendulkar and Raina had put India completely in front. The first of the two overs was the 43rd and the second was the 48th. In the 43rd over bowled by Watson, one run came for the loss of Raina and Harbhajan. It has been such a series for Australia that it would not be surprising if an Aussie tourist is picked and brought to the ground in case Ponting suddenly finds that he is left with only 10 fit men for a game. The score-line says 3-2 in Australia’s favour and that is a massive achievement by an inexperienced as well as an injury-hit team that Ponting leads. I don’t think I’ll see a headline that says ‘India out to hit injury-hit Australia’ again in this series at least. In the 48th over again two wickets fell for 3 runs. A crestfallen Tendulkar departed to a rising ovation off the first ball of the over. From the beginning he knew how to climb this summit; he created and shaped the reply knowing exactly where and how to take a risk and to keep his companions steady. There was nothing that could stop him in Hyderabad and even after the dismissal of Raina and Harbhajan; 32 more runs were added between Jadeja and Tendulkar. And then the Master came down from the peak and made an error of judgement; as in that form no bowler could have taken his wicket had he kept his shot selection on the cautious side. After the dismissal he saw his work of art falling short just like it did in Chennai 1999. He had been phenomenal in Hyderabad but in the presentation ceremony he looked the most-disappointed and the-most forlorn man. Tendulkar knows it very well that the infinite is expected of the Master. And he knows that people forgive everyone but they never forgive a genius. Bach Bothers Us No End!